When people who have lived their whole lives on the First Coast conjure up their mental image of Ponte Vedra Beach, they are usually picturing a home from Old Ponte Vedra. Although not an official neighborhood or community, the boundaries of Old Ponte Vedra stretches from the Atlantic Ocean to A1A, from Corona Road north to its Jacksonville Beach boundary. With homes ranging from 1,846 square feet to 6,372 square feet. The origins of Old Ponte Vedra are clear: these were the first areas of the coastal town to be settled and made into homesites. After the Stockton company purchased the land from the mining company and converted the property into a resort Due to the age of the settlement, you’ll find everything from modest cottage homes with much of the original architecture to soaring, multi-story estates worth millions. The various sections and types of homes really do reflect the Ponte Vedra Beach community as a whole. Although the homes vary in size and shape, they are all well-maintained and well loved by those who inhabit them. Nestled in Old Ponte Vedra is the Ponte Vedra Inn and Club, the oldest and arguably most well-established club at the beaches. The club opened in 1928 but features a variety of modern amenities and is always being improved to reflect the latest in resort and club trends. Currently the Inn portion includes 250 rooms with updated luxury amenities. This AAA Five Diamond Award resort features 300 acres of well manicured luxury living for visiting guests or First Coast residents just looking for a weekend getaway. Being in the “old” part of town has it’s advantages. 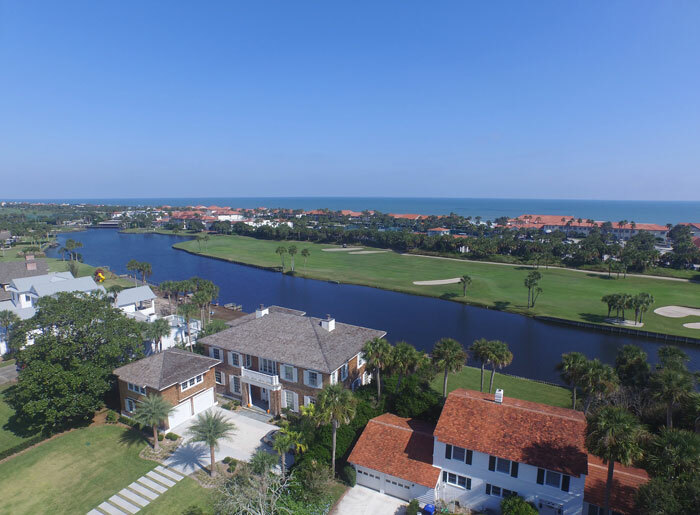 Old Ponte Vedra properties were built around the golf courses of the Ponte Vedra Inn & Club on some of the most desirable real estate in North East Florida. The social life of the club, its restaurants, cabanas, spa, tennis facility and 36 holes of golf attract people who are active, social, and enjoy the beach lifestyle. Ponte Vedra Inn & Club also offers membership options with a diverse selection of year-round recreation and social activities for adults and families. These options include a beach club with private beach access, sailing, swim lessons, bridge club and other social gatherings. The PV Inn & Club also offers sporting pursuits with its 36 holes of golf, 15 Har-Tru tennis courts, 4 heated swimming pools, oceanfront fitness center, 10 boutiques and shops, four restaurants and luxury full-service spa. Membership at the Inn & Lodge is not required for residents of Old Ponte Vedra and is open to everyone, attracting members from all over Ponte Vedra Beach and Jacksonville.